We know what you’re thinking, “oh great another mobile app to download”…let us be the first to tell you, this is one you’ll want to have. 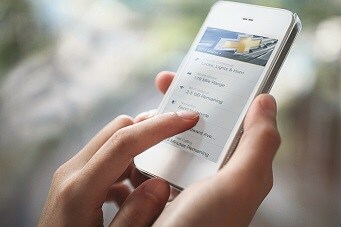 General Motors has released a mobile application for each of their 4 brands: myGMC, myCadillac, myChevrolet and myBuick. Unlike most apps, GM makes this worthwhile. Each version of the mobile app allows you to always be in the driver’s seat even when you’re not in your vehicle. With the available OnStar Basic Plan or any paid OnStar service plan, you are able remotely start or turn off your vehicles engine from your smartphone if your vehicle is properly equipped. Yup, it’s true! That’s just one great feature of the app. You are also able to lock/unlock your vehicle or activate the horn and lights all from your cellphone. It gets even better. You can even see real time diagnostic information with certain key vehicle systems. The app is available for download to all owners of GM vehicles 2010 model year and newer vehicles. Hands down the best part of this all… the app cost $0, NOTHING, ZERO, FREE! Below we have posted a short video of how to use the mobile application and demonstrating some of its awesome features. In the video we downloaded the MyChevrolet app but all 4 mobile apps are the exact same set up. The only difference is between the brand of your vehicle.